Voluntary Service Overseas is a London-based charitable organisation that was established in 1958. For more than five decades, this charity has remained loyal to its original mission: to provide young people with an opportunity to help those who are in need and to gain valuable life skills. Although initially VSO only recruited male volunteers, over the course of the years this organisation has expanded its volunteer base and now offers volunteer opportunities that suit people from all walks of life. As of 2014, more than 40,000 have taken part in one of VSO's programmes. This organisation offers long and short-term volunteer placements in fields like education, health care, public relations, media, and eco-tourism. VSO also runs special programmes aimed at young people aged 18-25 in areas like sustainability, community action, AIDS education, and youth leadership. Voluntary Service Overseas is also present in a number of sports events and challenges, including the Great North Run, the Yorkshire Three Peaks Trekathon, and the Vietnam to Cambodia Cycle Challenge. To find out detailed information on how to volunteer with VSO, visit their official website at www.vso.org.uk/volunteer. The Prince's Trust was founded by Charles Prince of Wales in 1976 with the objective of helping young people who are at disadvantage gain new skills that can help them become valuable members of society. The Trust works with individuals aged 13 to 30 who are not in employment, education, or training, as well as with those who are or have been in care or who have had problems with the law. Through a varied range of programmes and initiatives, the Prince's Trust works to help these individuals become productive and gain confidence in their potential. The Trust offers grants to access education, training courses, work experience programmes, and financial support for young entrepreneurs. Over its three decades of existence, this organisation has given support to nearly 800,000 individuals. Volunteering opportunities include the chance of becoming a business mentor, a group activity supporter, an outreach and development volunteer, a volunteer coordinator, or a leaving care mentor, to mention just a few. To find out about the full range of volunteering opportunities offered by the Prince's Trust, visit http://www.princes-trust.org.uk/support_us/volunteer.aspx. The Trust also organises several fundraising events, such as the Palace to Palace Ride, the London to Surrey Cycle Ride, the Edinburgh Marathon, and the Century Cycle Challenge. 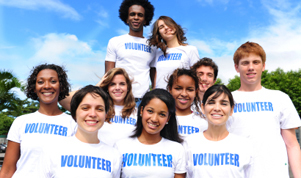 Lattitude Global Volunteering was founded in the United Kingdom during the early 1970s. Initially, this organisation was known as Gap Activity Projects. This youth development charity aims to get young people involved in in cross-cultural exchanges and volunteer placements that can help them make a difference in the lives of those who need it the most. More than 40,000 school leavers have gone on a gap year with Lattitude since the charity was created. Volunteers can gain skills and experience as English teachers, medical assistants, environmental and community workers, outdoor instructors, and care assistants. Lattitude Global Volunteering sends volunteers all over the world, although the most in-demand destinations are Australia, South Africa, Ecuador, India, Japan, and Vietnam. Applications are processed all year round. To find out more about the programmes and destinations available, visit Lattitude Global Volunteering online at www.lattitude.org.uk. Raleigh International offers young people the opportunity of volunteering in areas like sustainable development and conservation. This charity runs several projects in developing countries with the objective of alleviating poverty and improving the standards of living of those who live in rural communities. Raleigh offers two types of volunteer placements: venturer positions (which last up to 10 weeks and are open to people aged 17-24) and volunteer manager positions (open to those aged 25 and above). Shorter bespoke programmes are also available. Volunteer placements take place in India, Malaysia, Costa Rica, Nicaragua, and Tanzania. To learn more or to apply, go to raleighinternational.org. Youth Net is a UK-based charitable organisation that aims to provide young people with timely advice and useful information that can help them lead more meaningful lives. This charity recognises that young people need support to rise up to the challenges involved in the transition to adulthood, and relies on a network of volunteers to run an online site that offers 24/7 advice on topics like relationships, housing, sexual health, and finding work. Volunteers can participate by becoming discussion board moderators, relationship advisors, photographers, or employability representatives. Training is provided by Youth Net. This charity also encourages volunteers to fundraise by taking part in challenges like Nightrider or the Royal Parks Half Marathon. Volunteer fundraisers can also organise their own events thanks to the support offered by Youth Net. To learn more about how to get involved, check the charity's official site at www.youthnet.org/work-for-youthnet/volunteer.